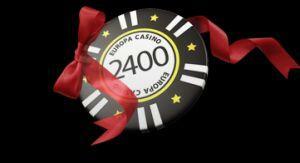 Europa Casino was established in 2003 and is part of the renowned Euro Partners casino group. This casino has the unique selling point of being available in thirteen languages and as such, has become a very popular casino location. This is evidenced by the fact that the site is listed in the top 10% of all casinos using the excellent PlayTech software. This software suite offers players the chance to enjoy over 400 top of the range games which include the acclaimed Marvel slots, live dealer games and many innovative variations of popular table games too. This casino has a particular focus on customer services, striving to provide customers with the most professional and efficient customer support team in the industry. The team is available 24 hours a day, seven days a week and is available via live chat, phone, e-mail or Fax. When playing at the site you’ll have the option of downloading the casino software or playing through your browser. The download version contains the whole catalogue of games at the site, the majority (but not all) of the games available instantly through your browser. Europa are famed for looking after their loyal players really well. Check out the latest promos list at www.europacasino.com for yourself! What is evident the moment you enter this casino are the huge range of slots you’ll be able to experience. They include a great mix of games featuring three or five reels and various amounts of lines. Some of the games include progressive bonuses, some of these Jackpot amounts being eye-popping. Popular games include Monty Python’s Spamalot, The Sopranos and the popular Marvel series featuring Iron Man, Fantastic Four and The Incredible Hulk slots. For fans of table games, Roulette is a particular feature here, with standard games alongside Multiplayer games and Marvel Roulette which offers huge prizes. Multiple versions of Blackjack feature here, as well as casino favourite Craps. Fans of video poker will also be impressed by the numerous versions of this popular casino favourite and many other fun games can also be played. Europa Casino also has a live casino. Here you’ll be playing at a real table with a live dealer streamed directly to your computer/device. This is as close as you’ll get to a real life casino experience without actually visiting a casino, an added bonus for many being that in most cases the games are hosted by attractive females. You’ll also be able to play a selection of games from this site on the go – simply either use the QR code on the site, or they’ll send you a link via either text or e-mail to access the mobile version. Europa Casino has one of the longest lists of casino deposit methods seen at an online casino. On the cashier page you’ll be able to select your country to see the available methods. The most popular deposit methods include debit and credit cards, PayPal, Skrill, Neteller, Click2Pay, PaySafeCard and UKash, although many other deposit options are also listed. When withdrawing, you’ll normally withdraw back to the same card/payment type you used to deposit, although if this isn’t possible there are numerous other options available to you. 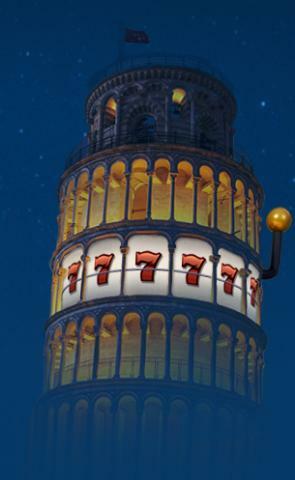 For new users there is a great welcome bonus awaiting you at Euro Casino, with the potential of earning up to €2,400 in your first year. Firstly, you’ll be able to take advantage of a 100% match bonus up to €100 in each of the first twelve months after sign up. Added to this, you’ll be able to gain a €25 bonus on a weekly basis, every week of the year. Both of these bonuses have a 20x play through requirement, meaning you’ll have to wager the total deposit and bonus amounts that number of times to clear the bonus. It should be noted that the bonus is for wagering purposes only and upon your first withdrawal (regardless of the number of deposits); any amount up to the equivalent value of the bonus will be deducted from your play balance or winnings prior to settlement. There are additional bonuses available when depositing with certain payment types. Some come with a 15% bonus attached and others with a 10% bonus. The list of payment types where this applies is too numerous to list here, so check the site for details. Europa Casino has a VIP club which is open to players of all levels. The more you play at the site, the higher you’ll climb up the VIP ladder and as you move up you can expect higher weekly bonuses, exclusive access to promotions and tournaments, faster withdrawal times and even a personal account manager. You’ll also be able to earn comp points quicker, which you’ll be able to convert into cash. 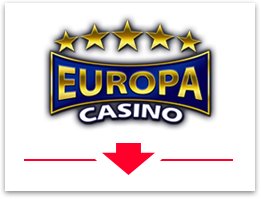 Europa Casino is an impressive site, catering for a wide range of players both by offering multiple languages and a fantastic range of deposit options. This is backed up by a great customer service team which makes Europa Casino an excellent choice.